Shanghai has finally experienced the feeling of winter these days. The weather is getting cooler and snowy, and the body feeling is much colder! 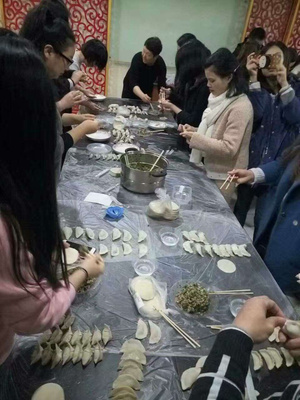 However, no matter how cold the weather is, our teachers still determined to make dumplings. 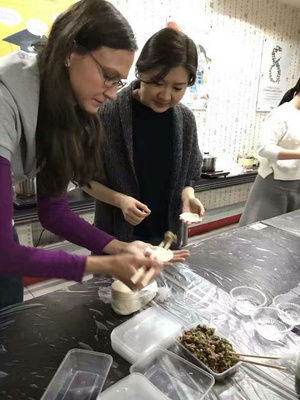 Yesterday, in this “frozen” day of Shanghai, our foreign students made dumplings with us together. Mandarin Garden wish you all have happiness in 2017. 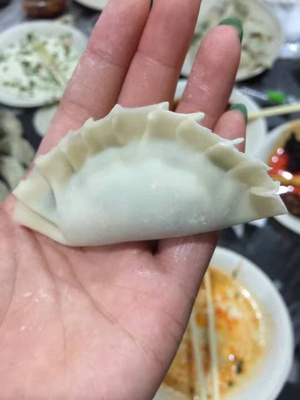 One of the traditional Chinese culture is to eat dumplings. 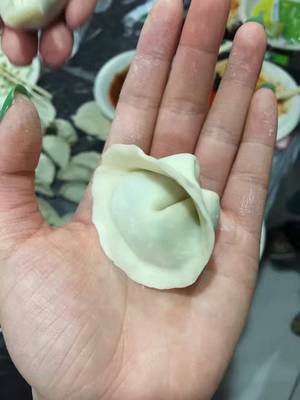 It is very happy to eat a bowl of hot dumplings in the cold winter, of course one’s own hand-made dumplings will make it more meaningful. The atmosphere of Chinese New Year has not been cleared yet. 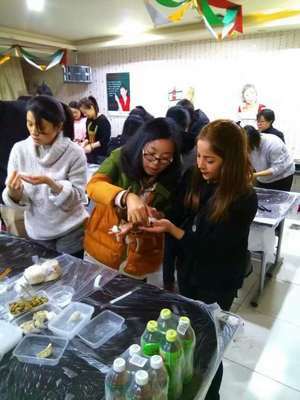 During this dumpling making activity held by Mandarin Garden, the whole room is surrounded by the scent of dumplings and the warmth between China and other countries. This is actually a war between people and dumplings. Foreign students certainly need teachers’ careful guidance! Next: How does a foreigner like Mandarin Garden ?